I used to blog up some YouTube videos here, istarblog.com, particularly K-pop or sort of. Because K-pop musics are indeed entertaining , plus, the soul of the song are still there which capture the interests of the listeners even it does sang in their mother tongue, Hangul/Korean. Yeah! that’s how the Korean musics invades the whole music industry today.. Also, Korean pop music are composes of variety of materials where you can even hear some jazz sounds to it and at the same time pop sounds are blending well to one another, I dunno on how they arrange their musics but overall the Kpop is amusing to listen and it is really catchy and easy to follow. Few days back, the sibling duo, Akdong Musician, had released their new song called GIVE LOVE. Actually, I’ve heard this already when the siblings are still on to Kpop star and I think they’re the one who composed this song. But I am not still sure though about it.. ehhe but you can try to listen this give love song at above video, you may also see the duo dancing in their cute moves.. Occasionally, I am also blogging up some music related topics on this blog, especially Kpop. Because this blog is mainly about Korean or Asians fashion and I think putting up some music that has fashion related to it is also doable. 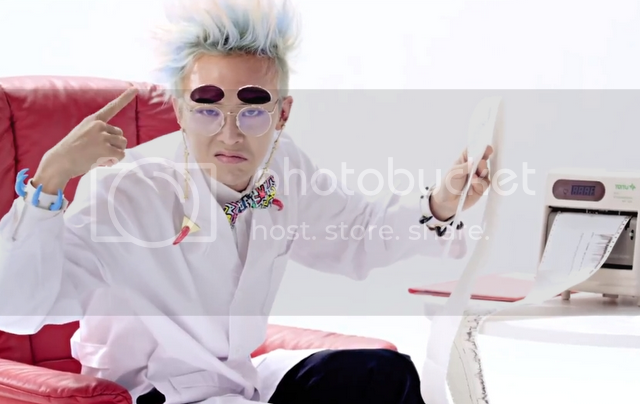 Most fans out there are really knew that this guy named Taeyang has this great and quirky fashion sense and tastes. That’s why then most of you guys,particularly Asians guys, are keep following and mimicking its styling every now and then. And I’ll be sharing some of his fashion statements which influences the today’s men’s fashion. 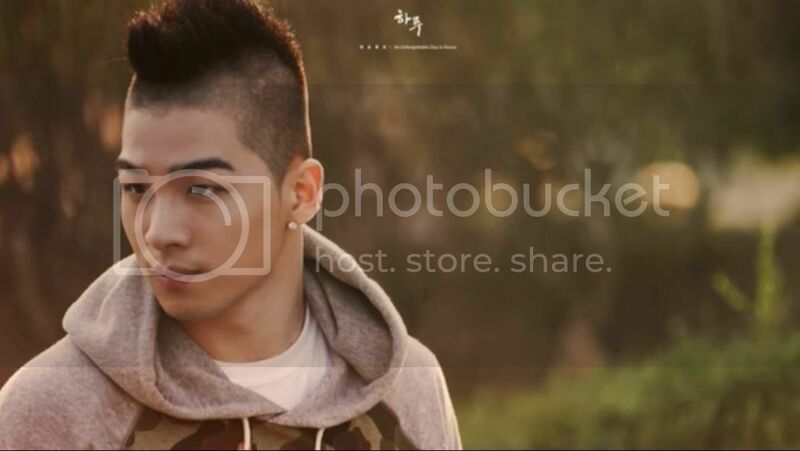 So – please keep on tuning in here as I tackle Taeyang fashion by on my next posts. Before that, let me also share this video ( actually an audio only) where this guy, Taeyang, singing his song entitled ” Take It Slow” acapella version. I simply liked this acapella version because his voice is fully heard. Korean artists are often featured in the Vogue Magazine these past few months ago than to the other well known persona or artists from the other countries such as Philippines, Japan and Thailand, etc. I know, Korea has a huge contributions in the world of fashion today because of their quirky styles and guts to wear all the unusual wardrobes that we could ever seen. I think that was the edge of the Korean when it comes to fashion. 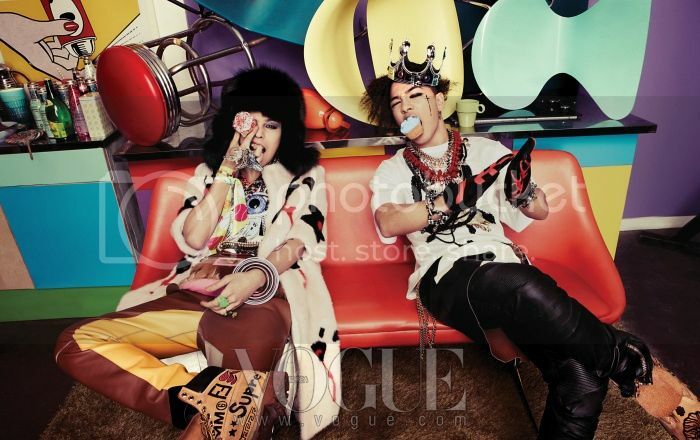 Recently, the 2 main and leading Kpop artists today, Taeyang and GD – Big Bang Member, had seen in the Vague magazine March Issue 2013 , yeah! this post is quite late already but still I’ve decided to post it up for me to have an document on which kpop artists are got featured on the magazine this whole year 2013. By the next year, I’ll all update you here with all the artists they’ve got in all for the vogue magazine month’s issues, as my compilation post. I actually dont have any idea on these photos ads. 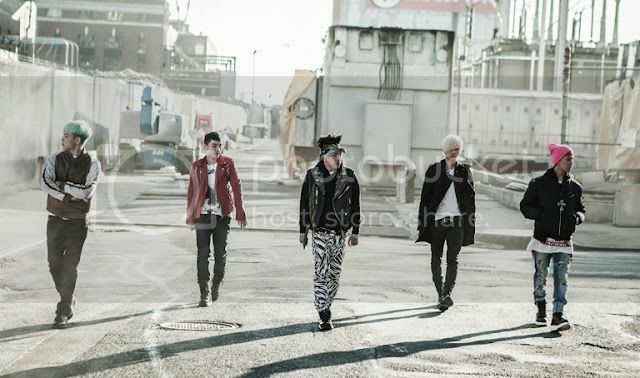 I just only found them dope by styling themselves in this quite emo inspired looks. Nonetheless, they’re both awesome in whatsoever they’d decided to wear and in every ads they made up this year around. And am quite sure that most of you folks are starting off to find all these pieces, the brands of the pieces they’ve worn here, for you to mic mic the styling. I dont know yet the pricing details for this bracelet and even where you could usually but it. But I suggest as you wanted yourself to have the same piece like Daesung have, search over Google and I believed you’ll find some relevant information where you can buy it..:) Okay, that will be all.. Thanks so much! 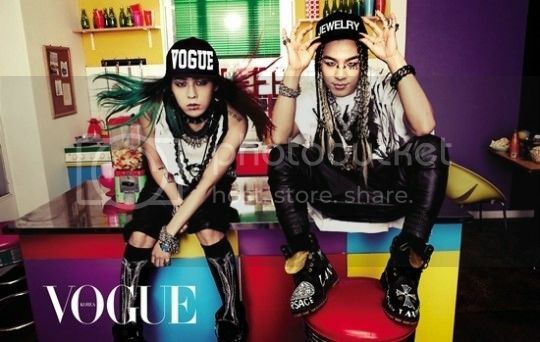 This really caught my attention because look, Youngbae seems wearing this leggings? 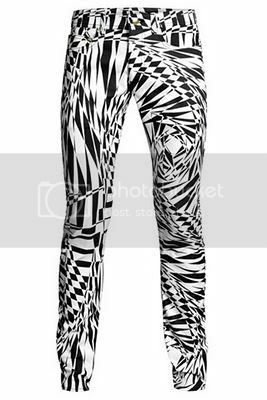 do this piece is a leggings or a print pants? I dunno. But it’s looks like a thigh,right? anyway, I just randomly got this picture online that’s why I haven’t know any further details about this and where this bottom came from I mean where brand. I think, big bang team uses some bistro tables and chairs on this video for the effects and accents which a great idea by the way..
We all know that I used to blog up some Korean fashion here especially the Big Bang fashion one because I simply liked how does these guys rocking their way by wearing these awesome outfits and statements when in regards to their fashion. Today, I was about to share to you what Ive found this recently which the Korean Boy Band Big Bang are the one endorser of the awesome brand called North Face for the Fall and Winter collection. Actually, I believed that this campaigns was done on last year campaigns but I am not still sure though about it. 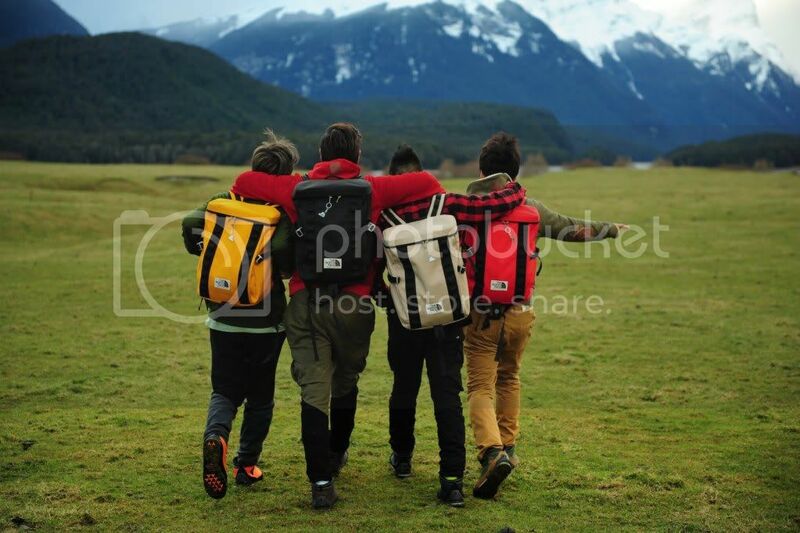 Anyway, check out the photo on top for you to see how the guys rock on the brand, North Face. Also, Ive found their video on youtube for this campaign you may also check it out if you want to. By the way, there’s an north face jackets for women on sale going on to the nearest or brand itself inside the mall today. You can pay to visit as you wanted to be hip to on this fall and winter seasons. Might few of you are keep on following this guy named D-dragon, Korean singer, when it comes to his fashion sense and styles. 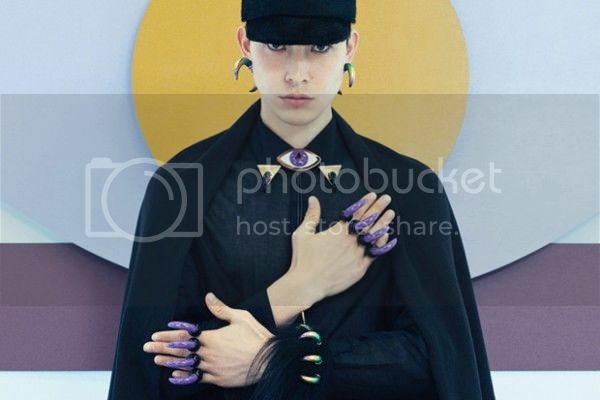 Becuase lets admit it, the guy really have this great taste when it comes to his fashion and also, he really had these quirky things for his accessories like what you are seeing on the top photo wherein he is wearing a great accessories from the Ambush 2012 “Holy Mountain” Collection. Actually, Ambush 2012 “Holy Mountain” Collection is been well know already on their unique accessories and been seen by the some Hollywood stars like Gaga, that’s why no wonder why GD hooked up to the accessory brand as well..
For more info about these pieces, you can heads up to the brand’s main website for the list of the accessories as long to the each price. Because I cant able to include all the info here due of my limited time, however, soon I got some spare times soon. I’ll definitely update this again for the full pricing details. Alright, that will be all for now. Thanks folks! Gummy, YG Entertaiment Artist, had spotted wearing an elegant all black dress from the designer named Chloe Sevigny. And if I dont mistaken, the designer is residing in the USA but she’s an Korean too. Okay, let me search the full details about this and will update you in here once I pretty sure about the info. 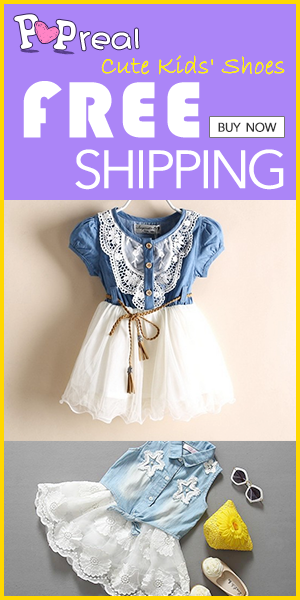 Actually, I found the girl, Gummy, look elegant and quirky on this dress that’s why I include her up here. Also, this was my first time to see such leather dress with laser-cut eyelets on it. Pretty genius uh! Actually, I am not really familiar on this Korean guy and even to the brand Juun. J, so happened, that this guy is also be part of YG entertainment where houses some great artists that I’d often blog here. That’s why I also now wants to blog him up too here..heheh Alright, the guy is also a singer and he got this name Sean. 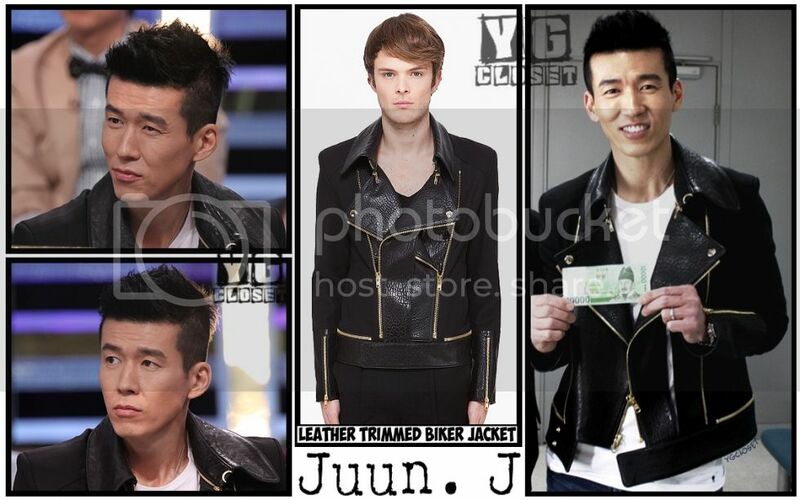 And as you can see on the top photo, he indeed rock himself to this leather jacket from the brand Juun. J , Korean local brand I guess, that has a price of $2175.00 that you may buy in any store near you. Yeah, I know, its pretty expensive than to those Balamain leather Jackets same designs as to this. I think, the guy is one of the high profile artist nowadays..I dunno! Okay, that’s it for now and I look forward to blog more about this guy and his fashion over this blog pretty soon. And please, do often visit this blog, Istarblog.com for more fashion updates. Thanks! 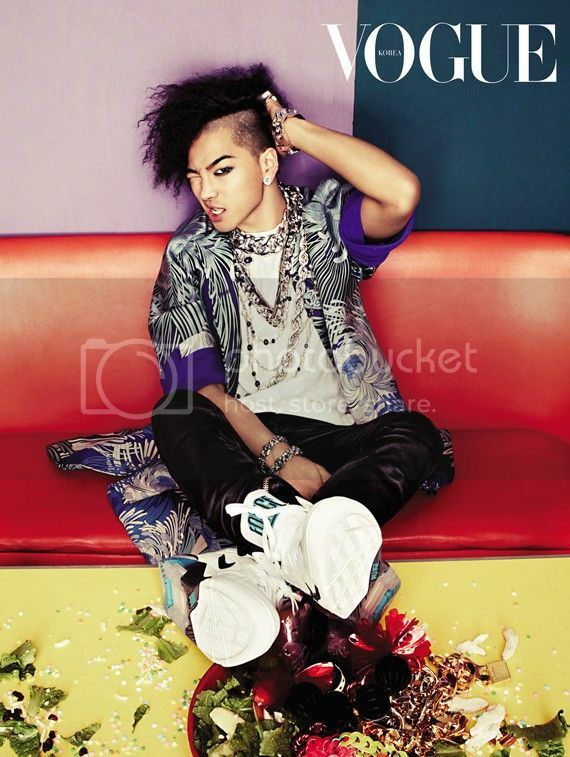 Indeed, this so much fierce and this was my first time then to see this guy Taeyang on this style. And I know you too also. What do you think about this? dope or nope? for me, this definitely dope, however, of course, he must to balance his statements up, what I mean was, he must only occasionally do this kind of fierce. Because people recognized him already for his street wear fashion styles. Which a lot of peeps out there are looking forward too. Alright, on this photo. 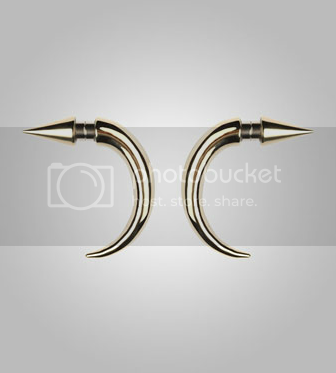 Taeyang is wearing an Magnetic Earrings from the brand Givenchy. Actually, I dont know yet any further details about the piece like the pricing details, availability, and the main material used to this. But no worries folks, soon I got to know it, sure thing, I will update you again in here. Okay, that’s it for now and I hope I may blog up some more informative than to this post soon by my next posts..hehehe because I admit, I really dunno what to say about this earring because I didn’t do my research about it yet. I just blogged up it here with my random thoughts about the piece..LOL But soon, I promise, I’ll then update some more detailed posts one. Thanks a lot!